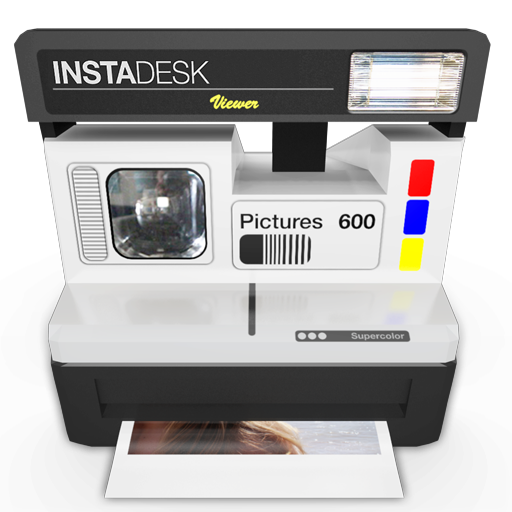 Instadesk brings the fun of Instagram to your Mac - iPhone.MY - Daily News On Mac, iPhone, iPads, iPods and more! Instagram is a wildly popular photo sharing service that has gained consistently in popularity in the last year or so. It has particularly gained traction because of the slow decline of Flickr due to its near total lack of innovation. Thousands of photographers have been slowly migrating to Instagram from Flickr because Instagram has been more rapidly innovating, while its competition has stagnated. Flickr has declined gradually in recent years after being purchased by Yahoo, which is known for running the companies it purchases into the ground and then eventually killing them off. Because of this, and a rapidly growing, vibrant community of users, Instagram has an incredibly bright future ahead of it. Until recently, it has been impossible to use Instagram from anything other than an iPhone, or iPod touch. This is because the only access to the service was through Instagram’s own official iPhone app. Recently a couple of web services were released that have attempted to remedy this problem, though of course they suffer from the inherent limitations of web applications. Instadesk was created to remedy that problem once and for all by bringing the Instagram experience to the Mac desktop, and with it all the benefits of a rich native Mac experience. Instadesk is the second Mac app to be released for Instagram, following the already popular Carousel. Instadesk has an interface vaguely reminiscent of iPhoto, and this is not accidental. It is easy to figure out for anyone even vaguely familiar with Apple’s own offerings. It’s in the sidebar, you can view your followers photos, your own photos, photos from people who follow you, and popular images. You can also assemble photos into albums, which is a really nice feature. When you select a photograph you can add a comment, like the photo, or share it with your friends. It also has a feature to open the selected photograph in your browser on the Instagram website. Additionally, you can view slideshows of whatever set of photos you happen to be viewing at the moment. Overall, Instadesk makes Instagram incredibly enjoyable and easy to use on the Mac, and even adds some features to the already incredibly useful service. It is a really useful and fun app for those who love to use Instagram, but want something a little more powerful than the website or the iPhone app. You can grab Instadesk from the iOS App Store for $1.99.